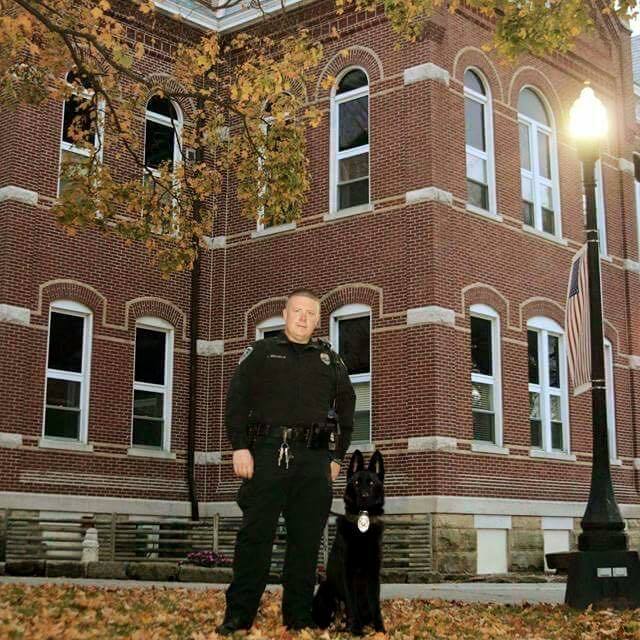 The Tell City Police Department K9 Team is made up of Sgt. Jason Shadwick and his partner, Piko (Pee-ko). Sgt. 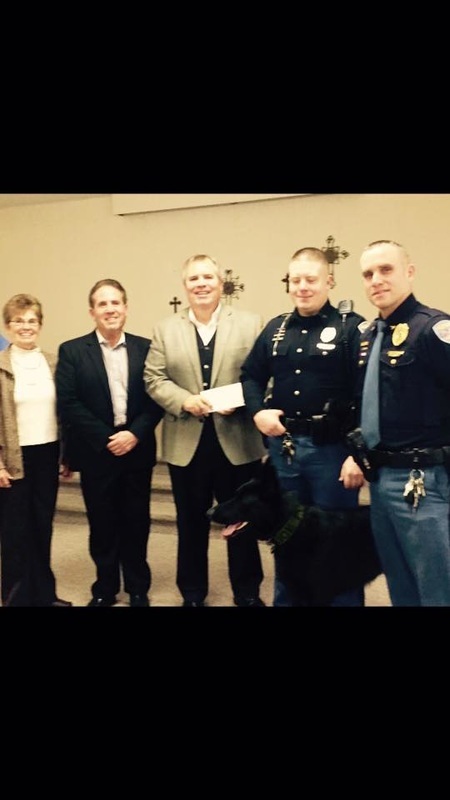 Shadwick and Piko became partners in 2015 when they both graduated from Top Dog Police Academy in Evansville, IN. Piko, a Checkslovakia bred German Shepherd, is trained to perform a variety of police tasks including narcotic detection, scent tracking, criminal apprehension, and evidence recovery. Piko and much of the necessary equipment used for the service were purchased with generous donations from the community. 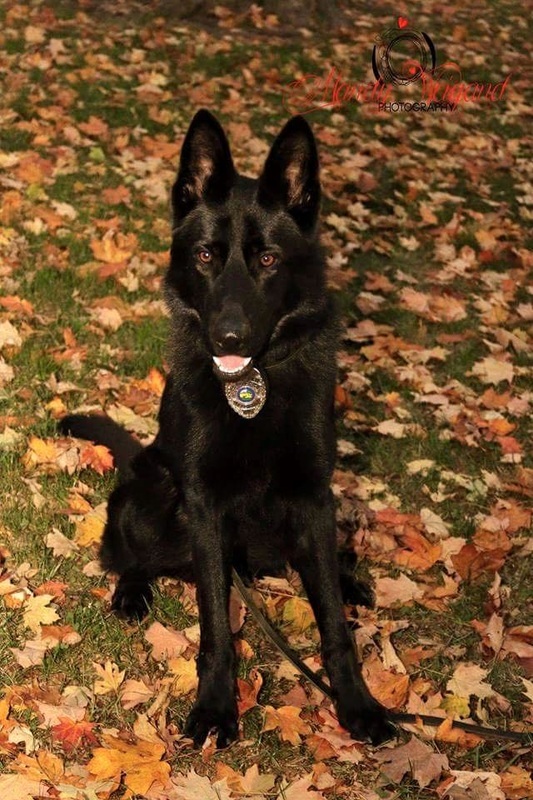 Since his inception of service, Piko has been very successful in locating large quantities of narcotics and continues to be a valuable asset to the community. Sgt. 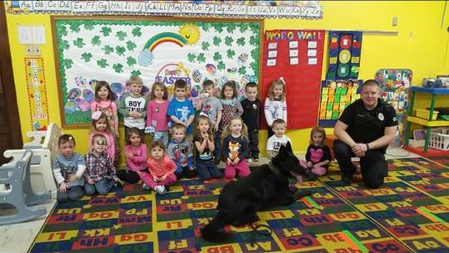 Shadwick and Piko also perform demonstrations for community schools and organizations. Please submit the information below for questions about the program or to schedule a demonstration.